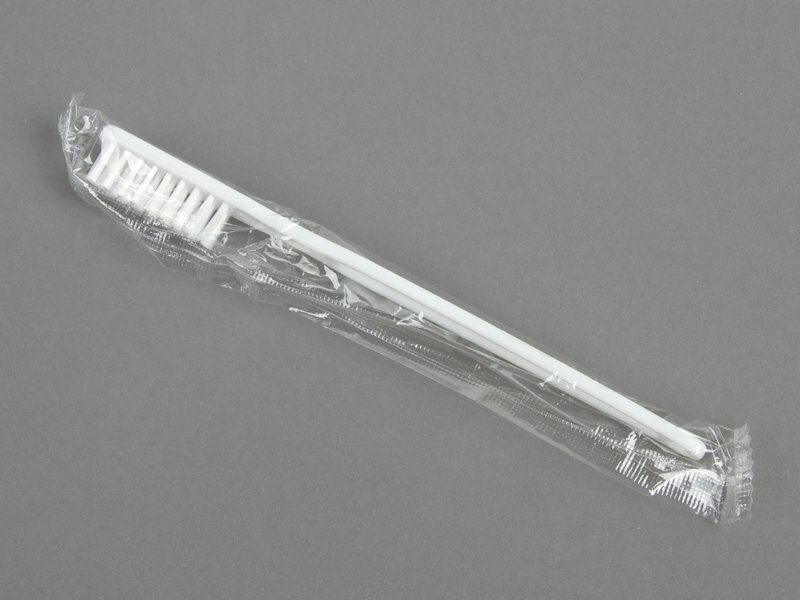 These polypropylene-handle, nylon-bristle toothbrushes are *terrible* if you want to brush your teeth, because the bristles don't spring back very well. 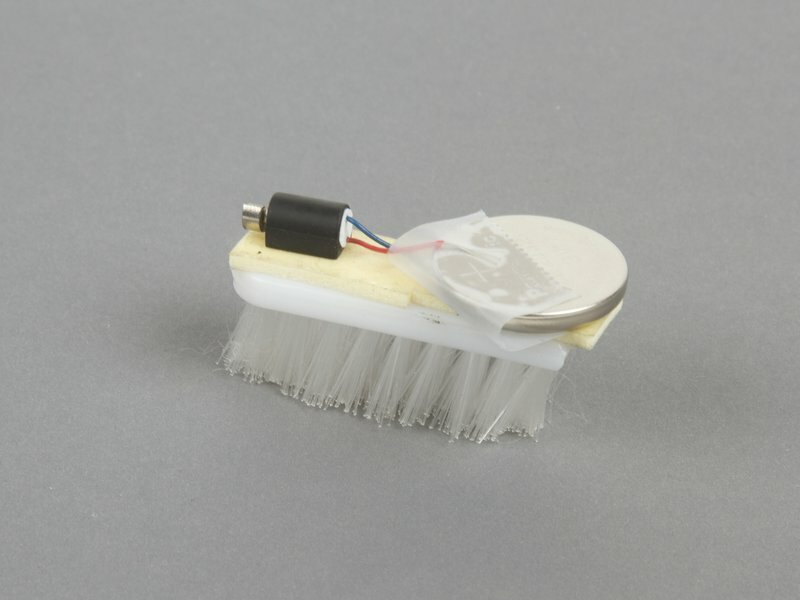 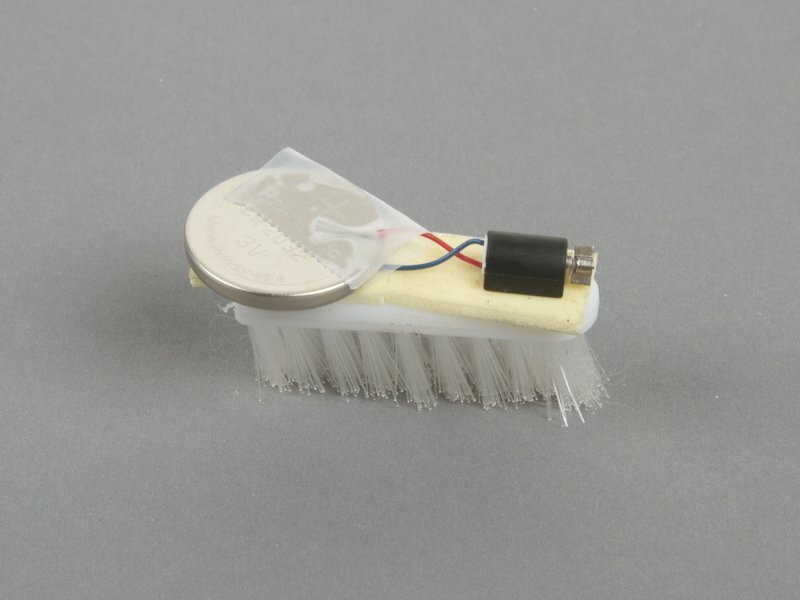 On the other hand, they are a good pick for BristleBots because (1) you can angle the bristles by hand-- just push hard and (2) the back side is very flat, unlike more expensive toothbrushes that are rounded-- this makes it easier to mount your battery and motor. Also, they're very cheap. 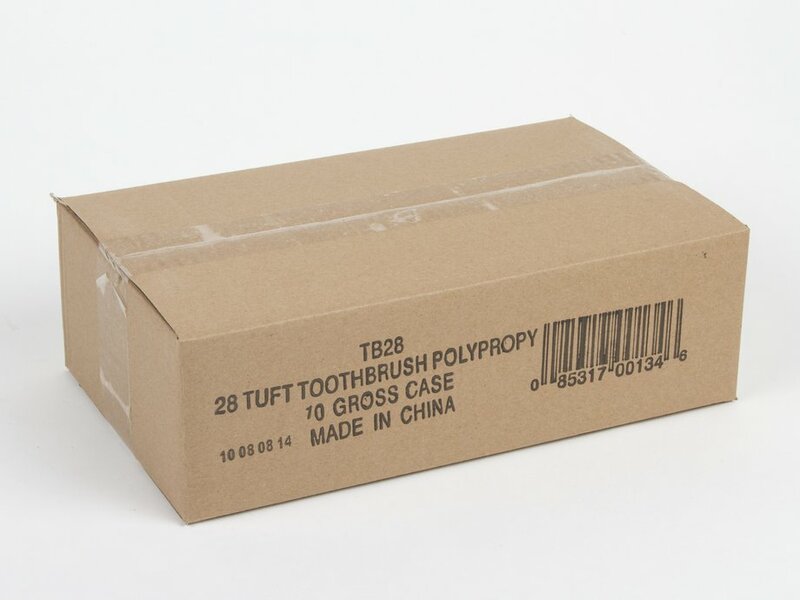 New, individually wrapped-- and probably even sealed-- but we don't guarantee them to be clean and/or sterile enough for any particular application.